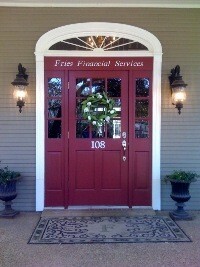 Welcome to Fries Financial Services, a full-service company specializing in retirement planning and estate conservation. Feel free to browse our site. You'll find a variety of articles, calculators, and research reports that we hope will answer your questions or stimulate your interest. If you have any questions, please call us at (979) 846-8395 or e-mail us at service@friesfinancial.com. We will be happy to help. We look forward to talking with you. Below is a link to our Fact Finder for Prospective Clients. Please fill out and email to service@friesfinancial.com at your earliest convenience.